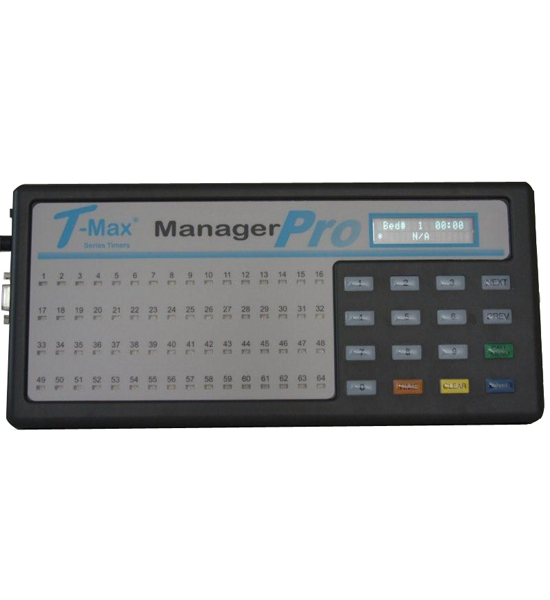 The T-Max® Manager Pro has 64 dual-colored lights showing bed status. A 16x2 easy to read Vacuum Fluorescent Display (VFD) also shows the status of a given bed. A 16 key keypad allows for manual session control. The T-Max® Manager Pro can be used manually or be controlled with a PC using today's most popular tanning software. Up to eight T-Max® Manager Pro controllers can be connected to a single salon.